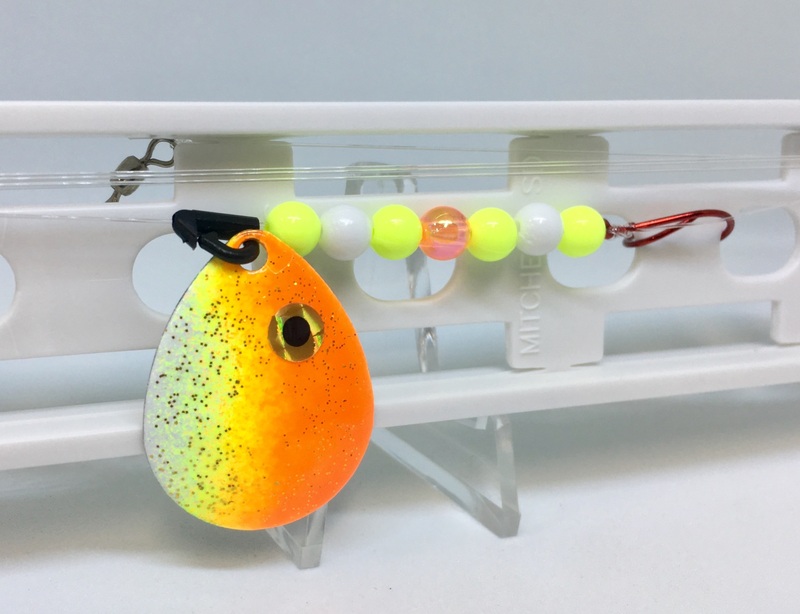 All spinner rigs listed below are two hook harnesses. 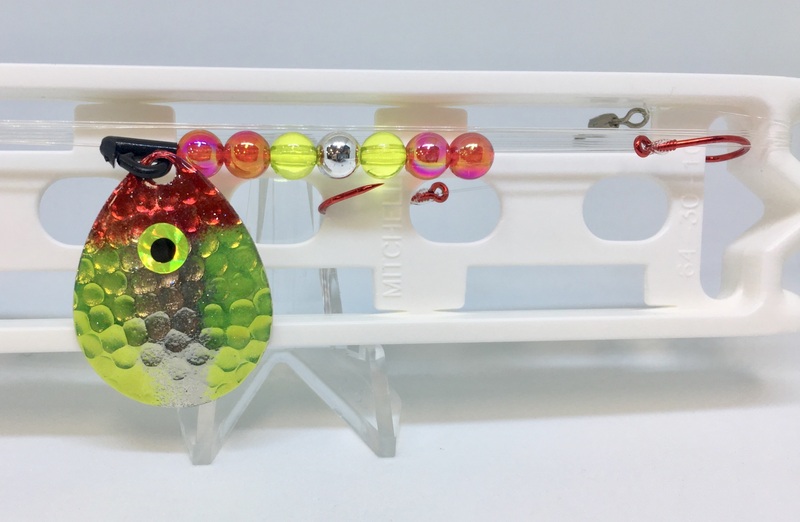 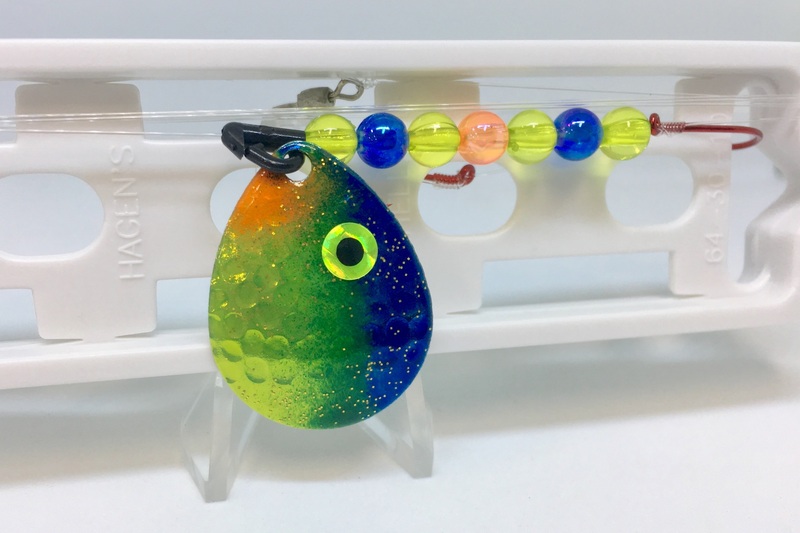 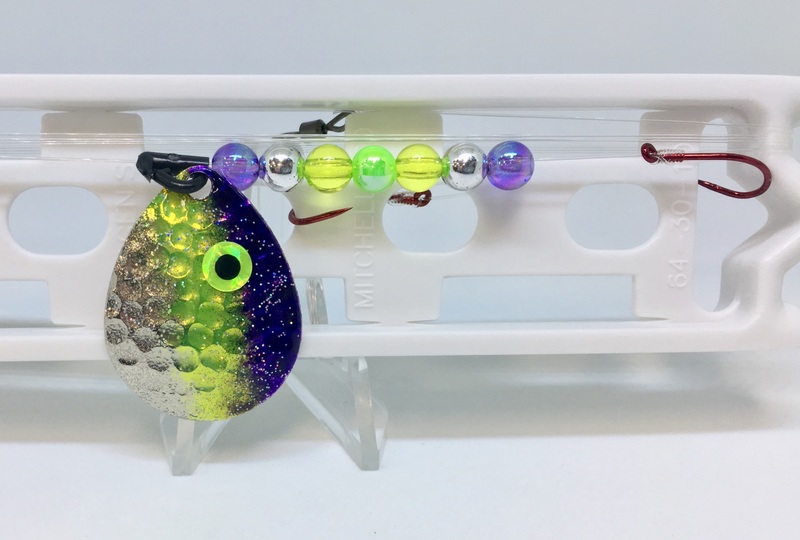 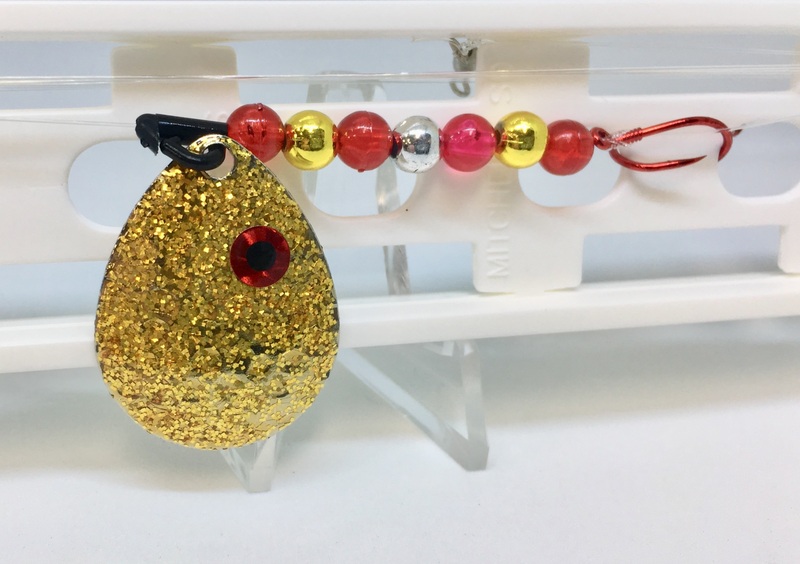 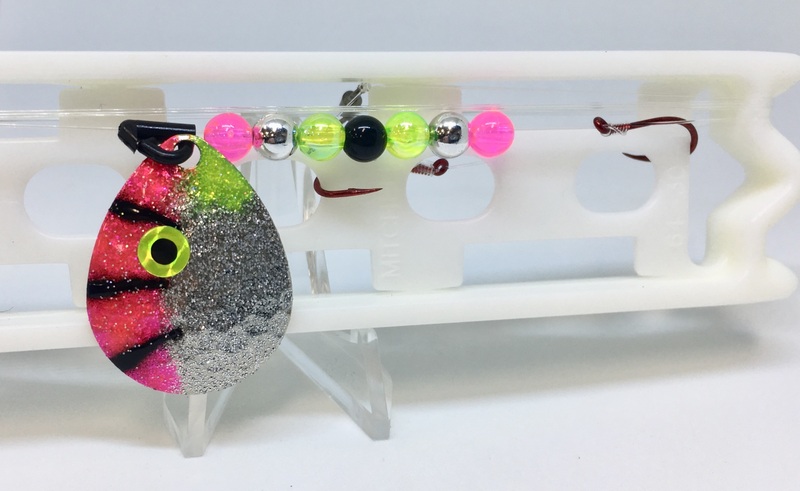 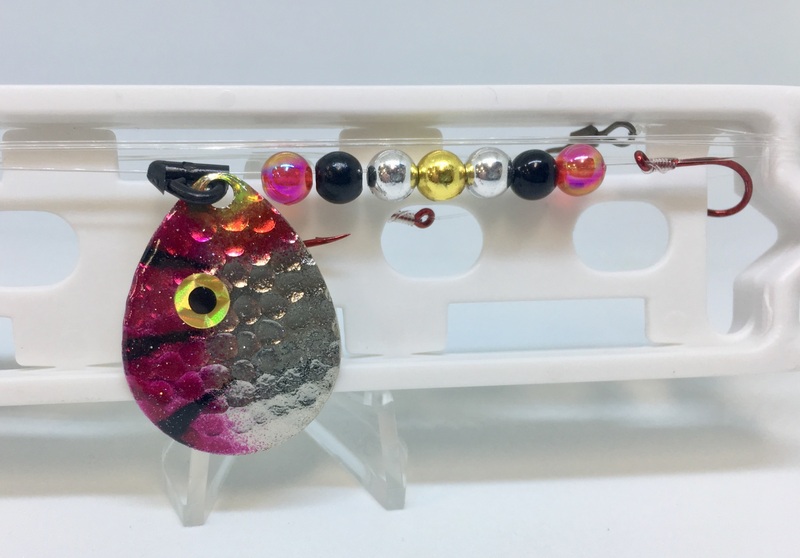 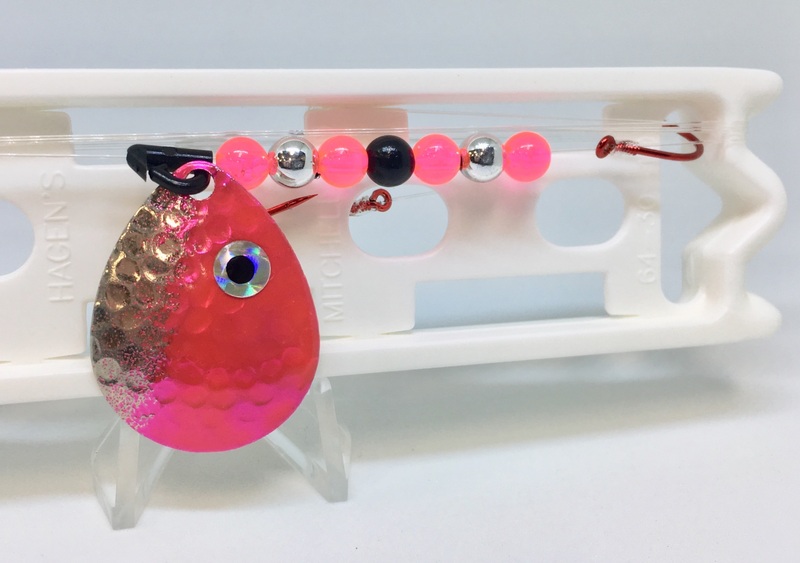 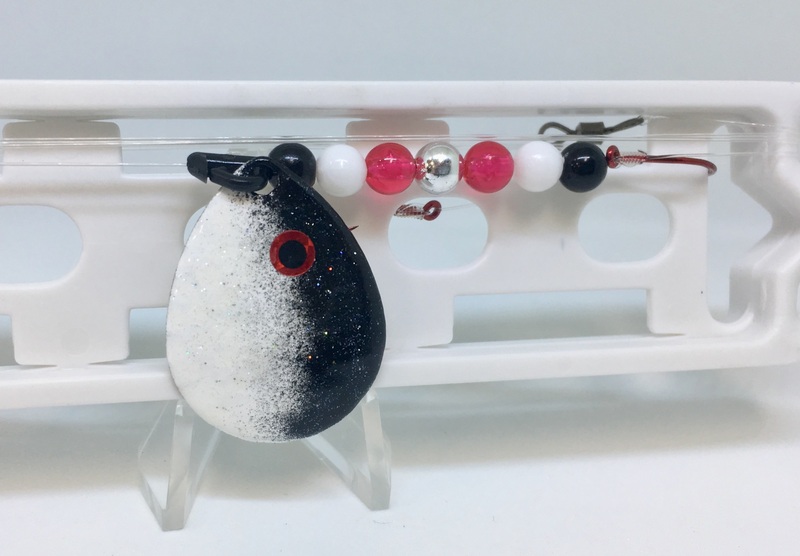 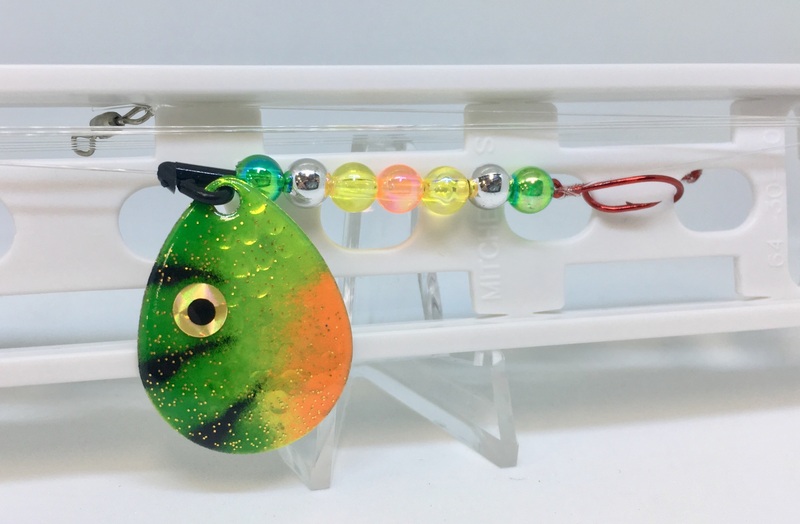 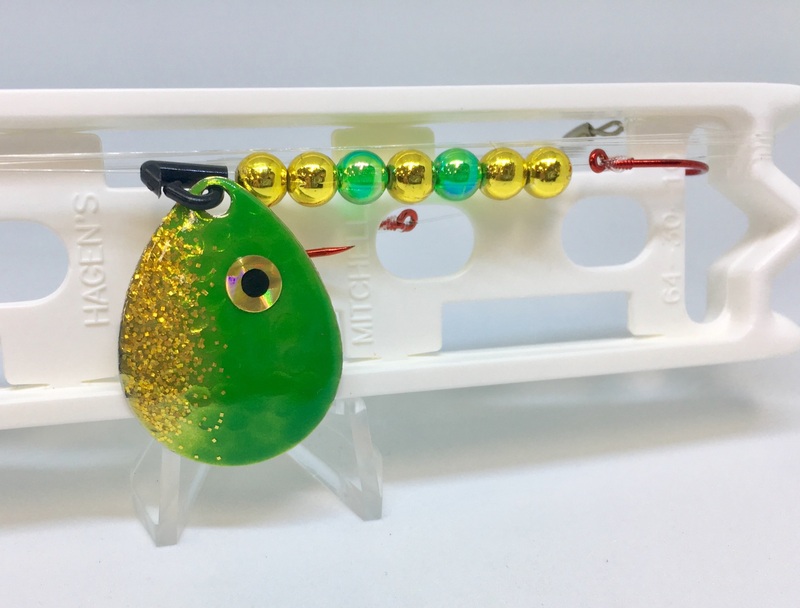 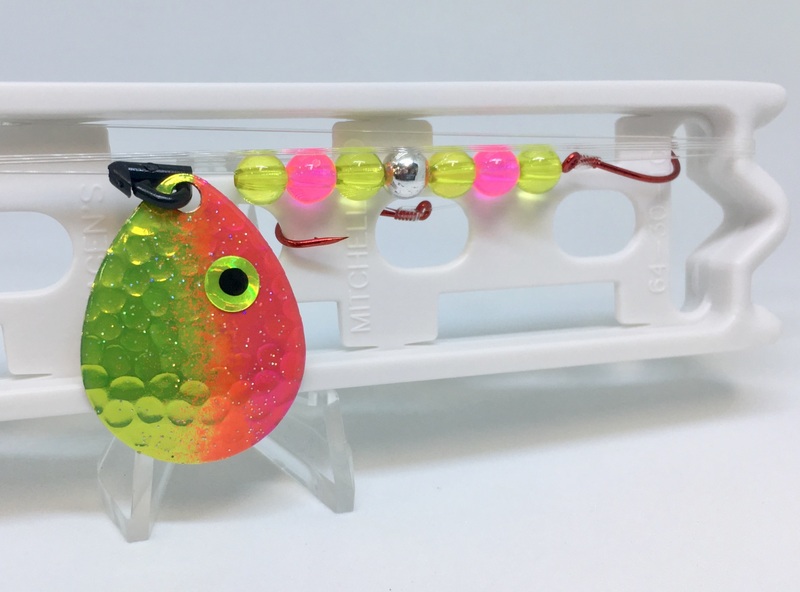 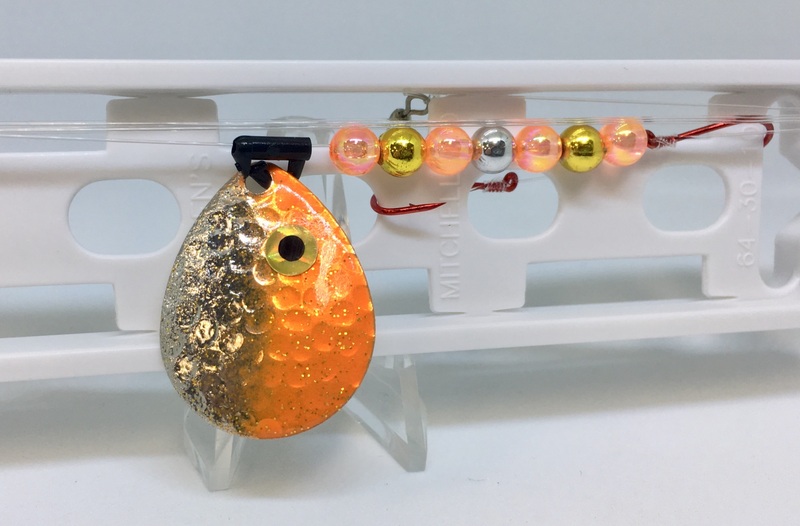 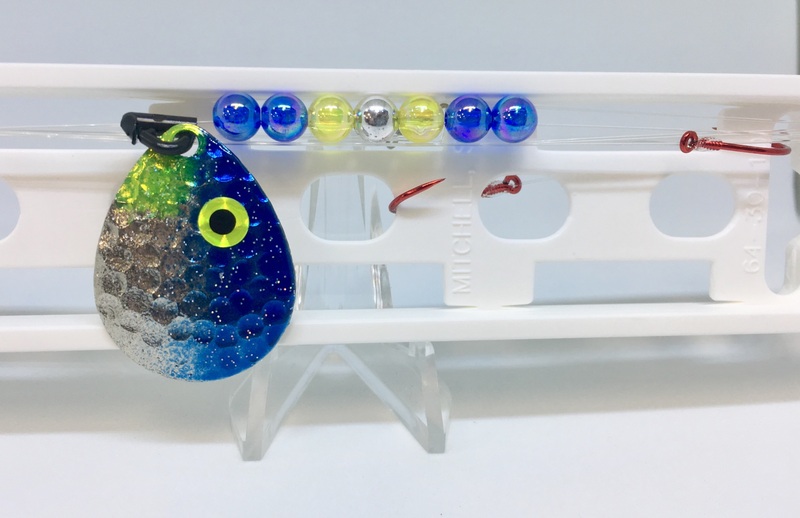 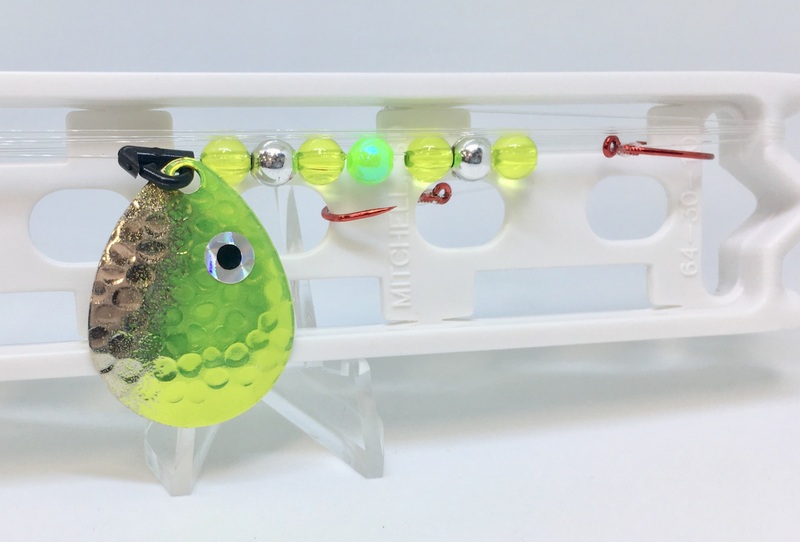 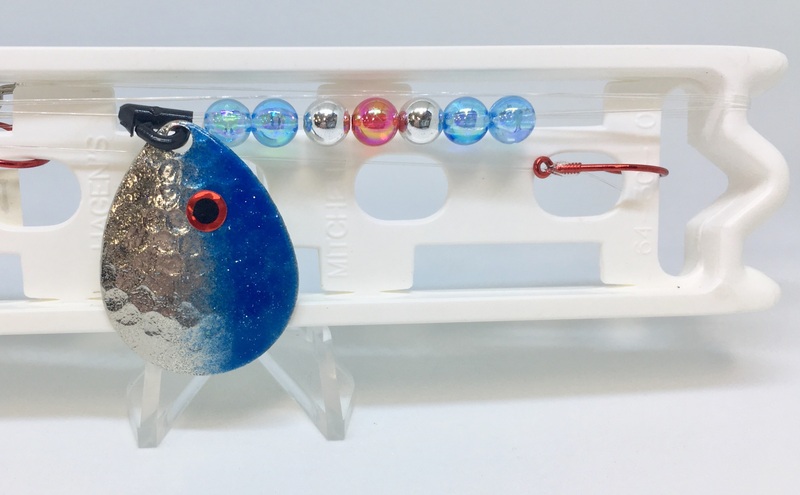 If you would like single hook rigs, different style blade or a custom paint scheme, please call Pete @ (320) 894-8490, message him directly via Facebook, or email minnkotatackle@yahoo.com and he will customize your order. 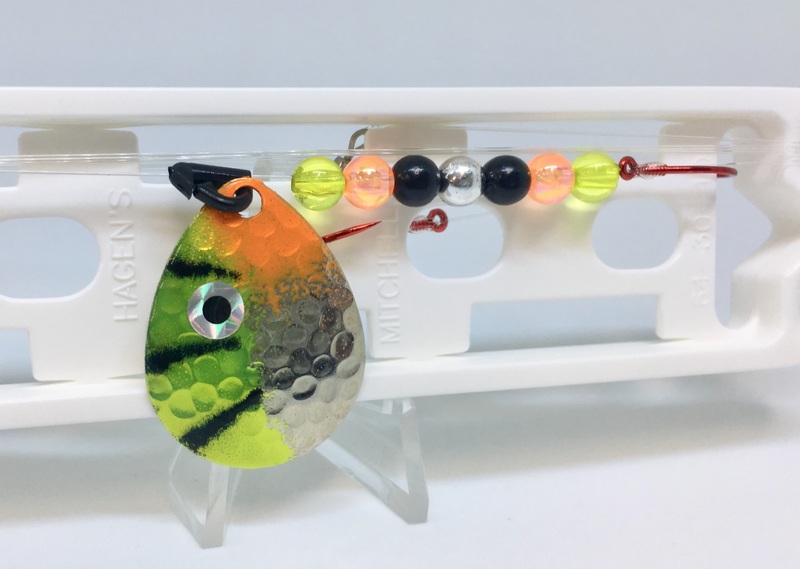 We often get asked about the durability of our 15lb. 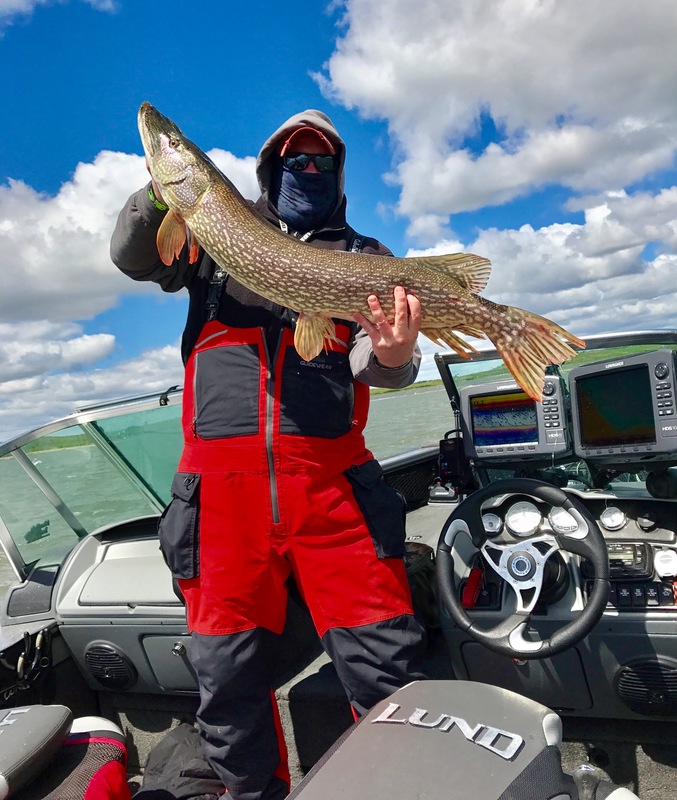 P-Line Fluorocarbon Leaders...........Well, here are two giant South Dakota Pike that put those spinner rigs to the test! 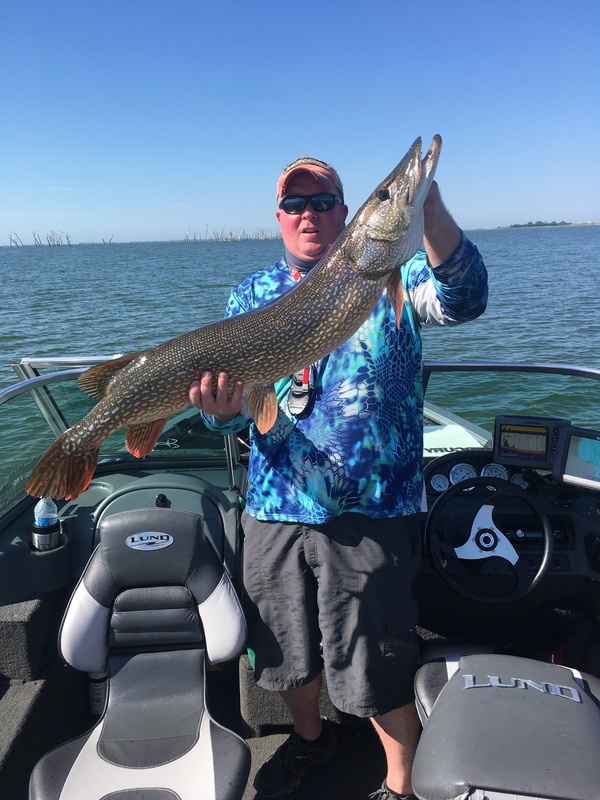 On the right 40" and on the left 45.5", I think the proof is in the pictures. 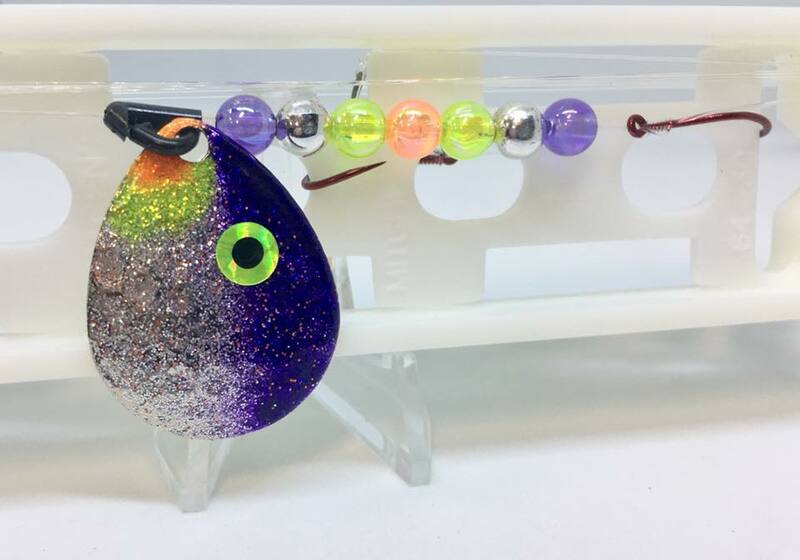 Both were caught while pulling spinner rigs in the summer of 2017.